This year has gone so incredible quickly already, I can't believe Mother's Day is only a few weeks away. So how are you sending some love to your mum this year?? For me I have been loving some of the online boutiques that I find through Instagram, some amazing mums running their own businesses from home. I am fully on board with the #shopsmall trend and love that by just sending a few dollars to smaller shops I know I am helping put food on the table for a hard working family. The amazing mums that spend their days working hard to earn a buck are really pulling through for the interiors industry, from handmade wood and concrete decor to crochet rugs. I am absolutely loving the chunky merino wool blankets....just beautiful! So when I spread the love this Mother's Day I am opting for a handmade piece that will work perfectly in the home as well, here is a sample of the beautiful merino blankets that I love. How divine, right?? Snap me up one of these for mothers day and I'm one happy mum!! But there are so many more options out there, jump online to check out some amazing home decor. It's the perfect way to spread the love to your mum and her home. If all else fails flowers are always an amazing option. They are perfect to brighten up any home, add a lovely frangrance and just make people smile. If you're looking for something a little more extravagent, check out this amazing giveaway hosted by Flowers for Everyone. Ever heard of Makepeace Island?? I hadn't until now, but seriously what a beautiful name to match a beautiful Island. Sir Richard Branson owns the island, so you know it's going to be perfect. The lucky winner of this prize will receive 2 nights sole and exclusive use of the Noosla island, including all meals, all activities including water sports, you get to go on a cruise and if you really wanna be brave, you can use Sir Richard Branson's private Villa. I wanna win!!! 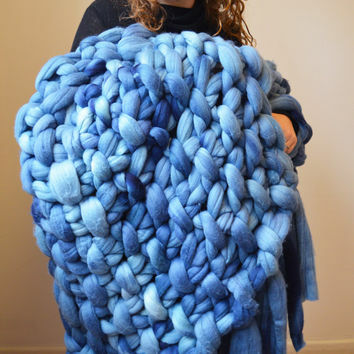 I love the chunky merino blanket but if I won a prize like this I would be bouncing off the walls with excitement. So why not kill two birds with one stone, jump online to Flowers for Everyone, order some flowers to be delivered to your mum this Mother's Day and also enter her into the competition. You would definitely be the favourite this year!! When something goes wrong in your home, things can quickly turn into a nightmare. Especially if your DIY skills aren’t too good, and you can’t fix things yourself. Sometimes, you just have to get some professional help. And you’ll need that help as soon as possible if it is an emergency! So it is always a good idea to have several handyman phone numbers in your phone book in case you need to contact them quickly. But which ones are the most important? Here are five to save right now. It is important to stay away from any faulty electrics in your home unless you are qualified to look at them. Most of us haven’t got a clue what we are doing, so you should have a local electrician saved in your phone. Most electricians should be able to come out and check the problem within one or two days after calling them. They will be able to deal with the issue in a completely safe manner. It’s a much better option than facing the risk of electrocution! When something goes wrong with your plumbing, things can go disastrously wrong very quickly! Burst pipes can cause flooding, which can end up damaging the structure of your property. So at the first sign of a leak, you need to be able to call a local plumber. Even if he can’t come out right away to fix your problem, he may be able to tell you some makeshift fix that will control the issue until he can make it. Once he does arrive, you can be safe in the knowledge that the plumber will professionally fix your pipes. So you won’t have to deal with the problem again! During summer, a variety of creepy crawlies can sneak into our home from our gardens. You’ll be able to deal with some infestations by just spraying your home with pest killers. However, if the number of pests is too big to handle, you will have to call in the pest control professionals. They can arrange a time to come to your home and rid you have any unwanted house guests. Pest control can take care of a wide range of vermin, from rats to cockroaches. Sometimes, there is nothing we can do to prevent certain accidents or natural disasters from ruining our homes. Things like floods and heavy winds can really damage the structure of the house. To fix structural damage, there is only one handyman worth calling out – a builder. It is especially important to call a builder if the building is no longer safe. They will be able to fix any damage so that your family can continue to live safely at home. It is also handy to have a local builder’s phone number for any small jobs that need doing. For example, if you want to renovate your home or add on an extension. So take out your mobile phone and start saving these numbers. You could be thankful for it one day! We have recently talked about the benefits of downsizing your home and how it can often be a smarter choice. But some families have no option but to upsize their homes. This is often due to their children getting bigger and if a new baby is on the way. If you need more rooms, more space and a bigger outdoor space, there’s no denying that a larger house can help. So if you’re considering upgrading to a larger family home, here’s some things you need to know. Owning a larger home will naturally cost more to buy and run than a smaller one. So you need to establish whether you can afford to upsize at this time. To begin with, you need to talk to a financial adviser such as Mortgage Masters and discuss your available options. You will also need to consider how much money you can get from selling your current home. It might be necessary to spend money on making improvements to sell it quickly and at the right price. All of which can affect how much you have to spend. Start looking at properties in your desired area and see what size of house you can buy regarding your budget. You may find that you need to save more or that you need to wait for the market to improve. It’s vital that you are realistic when it comes to upsizing your home. Otherwise, you may put a strain on your budget and have more space and rooms than you need. For instance, if you have two children, buying a home with three or four bedrooms will suffice. Whereas larger families could consider properties with seven or eight. Also, think about how many bathrooms you will need. Having one upstairs bathroom probably won’t give you the functionality and privacy you require. But you probably don’t want to clean six bathrooms or ensuites either. Talk to your family about what they see as a priority and use that to influence your search. While it can be tempting to want as many rooms and space as possible, it won’t necessarily make it your perfect home. Upsizing to a larger family home means selecting a new neighbourhood too. If you have children or plan to start a family, choose areas with good schools and kindergartens nearby. You can find performance records online as well as class sizes and teaching styles. Living close to parks, kids play areas and swimming pools will also be beneficial. It’s likely other families with children will also be drawn to these areas, which will encourage your kids to make friends. If you’re planning on living in this larger home long term, consider what your children might need as they get older too. Teenagers like to visit malls, cinemas and restaurants as well as use local transport. These tips should make the process of upsizing your home a complete success. Keep your family’s needs and budget at the forefront of your mind to find a property that is suitable for all. If you’re anything like me, you’ll find it exceptionally easy to forget you even have a garden. While I love and care for the interior of my home, the garden comes pretty low on the list. Of course, a lot of people seem to love stepping in cat excrement and tripping over weeds into anthills. Unfortunately, you’ll need to pander to their standards as summer rolls around! Here are some tips for tidying up your jungle. If you’re reading this because you’ve just moved in, then my first tip is not to touch the garden. That’s a relief, right? This doesn’t mean you can get off of the work completely though! As the days go by, look out and pay attention to which areas get sun and which are shaded. Remember where certain kinds of plants grow, and how well the survive. This will give you a nice starting point for sprucing up the garden. You can find some info on “shade planting” at the Royal Horticultural Society website. After this, you can start doing some solid planning. Try and look for the most expensive decisions first. It’s pretty common for people to hold onto gardening equipment for years, without paying any attention to the condition of it. Visit some centres like lawn mower store, Beacon Equipment if you know you need to refresh your arsenal. Next, think about where any natural pathways are in the garden, where your kids like to play, or any areas that could do with a focal point. This will give you a better idea of where you can add and remove different things. Looking out and thinking about your garden is no big deal. Eventually though, you’re going to have to get your hands dirty! A good thing to start with is a thorough weeding of the whole garden. Tear up any grass and weeds from flowerbeds, and lay down some mulch to improve the quality of the soil. Edge the grass with your shiny new lawnmower, and trim some of the dead wood from trees and shrubs. If you have any focal points, like a bench or birdbath, add these in. Just make sure it’s within the budget before rushing out to buy one! Next, start planting some fresh life. Add calm, neutral colours near seating areas and decks. Save more vibrant flowers for some of the flowerbeds around the edges. Before you’re able to get creative with all of this, you may need to have a big purge of the whole garden. Dig up any rotting or diseased plants, and throw them away. You may have other plants which are healthy, but are in the wrong place. If you find any healthy flowers which are too packed together, or not getting enough shade, then transplant them to another area. Most shrubs can be moved, but make sure you identify them and make sure. By the time you’re done with these tips, your garden will look pretty welcoming. Reward yourself by getting a cold drink, a good book, and shutting yourself inside to forget it for another year! People often think that they'll be happier if they live in a big house with a big garden. Perhaps they want to impress their friends and family. Perhaps they just think it's the right thing to do after climbing the career ladder. Or maybe they just hold fast to the idea that a larger house will offer far more regarding practicality. But despite increasing the square footage of their estates every year for the last fifty, Americans are no happier. So what's going on? One of the problems is that large houses come with more responsibilities. And a lot of those new responsibilities were not anticipated and are not wanted. It can become an expensive chore to maintain a large household, especially when you don't have an army of people ready and waiting to help you. For some people, there is a compelling case for downsizing. Some of the reasons are personal. But there are wider concerns at work too. So without further ado, why will you be happier if you downsize? One of the problems that dogs owners of large houses is the difficulty involved in selling. Yes, you might have a large house that's worth a lot on paper. But there are fewer people with the type of money you want out there to buy it. Smaller houses, on the other hand, have far wider appeal. Because they're within the budgets of most people, there's a greater chance that you'll make a quick sale. This can work to your advantage in several ways. The first is that you'll incur fewer expenses when your estate is ultimately inherited by your kin. The second is that you're more able to access the liquidity in your house if a remortgage specialist believes the house is easy to sell. And finally, it's likely that you'll avoid paying death taxes on your estate. But it all depends on how carefully you manage your wealth. When your house has more than twenty rooms, decorate, decorating never stops. As soon as you have finished one room, another falls into a state of disrepair, and the process has to start all over again. Decorating causes a lot of disruption and doesn't allow your home to feel truly lived in. What's more, decorating doesn't become something that you spend money on for fun or as a treat. It becomes something that you spend money on like any other household bill. This spoils the magic and reduces decorating to a chore. It's an unwritten law of the universe that if there is any spare space in your house, it must be filled. If you have a big house, have a look around. I bet that every nook and cranny in which something could be stored, there is something stored. This is one of the many benefits of downsizing. There's simply no space for you to put all that pointless stuff you've accumulated in your big house. And when you move, you'll have to be ruthless about what to keep and what to throw away. In a smaller house, you have less space to put new things. So it acts as a constant barrier to the temptation to buy objects you neither need nor want. A small house forces you to focus on the material possessions that really matter to you, and get rid of that clutter that's ruining your life. Large houses often don't feel all that cosy. Why? Because people are off in different parts of the house doing their own thing. Dad is in the study, sending emails on the computer. Mum is in the living room watching soaps on TV. One of the kids is in the garden reading a book under a tree. Another is in their bedroom playing video games. It's as if the whole house was set up to drive people apart. But a smaller house brings people together. It makes for a more sociable atmosphere where everyone is just a stone's throw away. It's easier to strike up conversations once you've downsized. That's because people are naturally sharing the same space. Many people admit that downsizing helps their family relationships. And they find this surprising. Often they only moved to a larger home because they thought that it would make for a better family life. If everybody had more space, they told themselves, people would be able to do the things they wanted to do. But too often, with all the distractions of modernity, more spaces translates to more isolation. Just like decorating, cleaning a large house can become an endless chore. There are a thousand more jobs that need to be done in a larger house. Multiple bathrooms need cleaning. Multiple bedrooms need cleaning. The living areas tend to be larger and have more things waiting to get dirty. And the kitchen is probably the worst part of all. No matter how hard you try, you' never seem to return it to quite how it looked in the magazine. What's more, house cleaning services and prices are lower when you downsize. That means that if you do get somebody else to do your cleaning for you, you'll have more money in the bank at the end of the month. Have you ever noticed that you never seem to have any time let once you've done the housework? Besides the cleaning and the decorating, there's always a thousands little jobs that need doing on a large house. Perhaps your house has old-fashioned features, like a period range cooker. It sounds like a lovely idea, but that cooker needs servicing every 12 months if it's to carry on working as it should. These little jobs all add up and eat into your time. You can often spend a couple of hours a week doing odd bits you'd never envisioned before you bought your house. And considering that you probably only have a few hours spare each week, this seriously cuts into your free time. But if you downsize you'll have far more time to yourself. If having time to yourself is super important, you could consider renting a smaller property. That way any additional work that needs doing on the house is the responsibility of the landlord. I said at the beginning that there are wider concerns that come into play when downsizing. And one of those is the environment. Back in 1950, the average American household had a total of 290 square feet of living space per resident. But over the following decades, that number continued to rise. Having a large house in leafy suburbia was the American dream and the goal to which we all aspired. By 2003, the average square footage per resident had risen to 900 square feet. Houses, in other words, were more than three times as big. At the same time, the number of bathrooms per house rose. In 1970, there were only a handful of houses built with more than three bathrooms. In fact, there were so few, that they don't show up on government statistics. Now, though, one-quarter of all new houses built has a third bathroom. The manufacture and transportation costs associated with new housing have increased. More wood is used in the construction of houses. More road miles are used transporting the material. And more concrete is poured into the foundations. It all adds up to increasing the carbon footprint of the household. If you're somebody that cares about their environmental impact, downsizing has many benefits. You can stop worrying about the environmental impact of having that third bathroom and know you are doing your bit for the planet. The ongoing costs of running a large house tend to rise faster than the square footage. As the area of your house gets larger, you end up paying more for each additional unit of space. And that's not a good thing. Downsizing not only means that you'll save on bills, but it also means that you'll be making more economical use of space. Council tax will be a lot lower. But so too will heating and utility bills. Big houses are inevitably a target for criminals. They are, in effect, an advertisement for wealth. And, as a result, they attract criminals of all stripes. Many owners of large homes suffer frequent break-ins and become a regular target of criminals. It means that when you go away for extended periods of time, you're inevitably worried about a burglary. It means that you never have the opportunity to relax. But downsizing frees you up from all that baggage, particularly if you move from a house to a condo. Have the security taken care of by somebody else and stop letting the material things get in the way of having a joyful life.